The Sarjeant Gallery is a cultural facility of the Whanganui District Council. We need your help! Become one of our cherished Stars by committing to donate $5 (or more) a week for four years to support the Sarjeant Gallery Te Whare o Rehua Redevelopment Project. 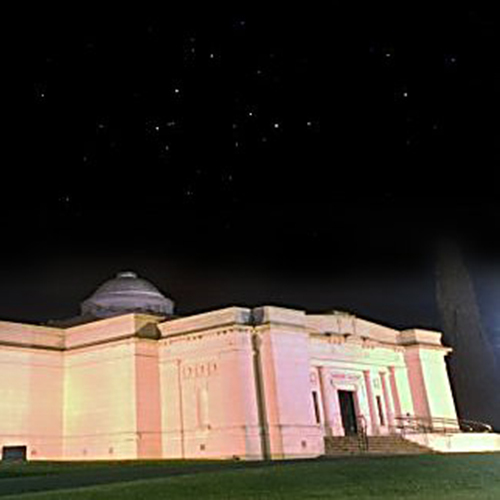 We intend that our Stars will be commemorated in the redeveloped Gallery. The Thousand Stars fund, administered as part of the Sarjeant Gallery Trust, plans to raise $1 million towards the redevelopment project. In principle, this target will be achieved when 1,000 people make a weekly contribution of $5 per week over a four-year period. The amounts and frequency of payments is discretionary – many of our Stars have opted to contribute on a monthly, quarterly or annual basis. Your donation to the Sarjeant Gallery Trust qualifies for a refundable tax credit deductible as determined by current legislation. A receipt will be sent to you at the end of every tax year or on request. Please complete the form below. You will be sent details of how to make your donations and a donor number which you should use to identify your payment. Yes, I would like to donate at least $5 a week to the redevelopment of the Sarjeant and help build a legacy of inspiration. The alternative spelling for Wanganui is?